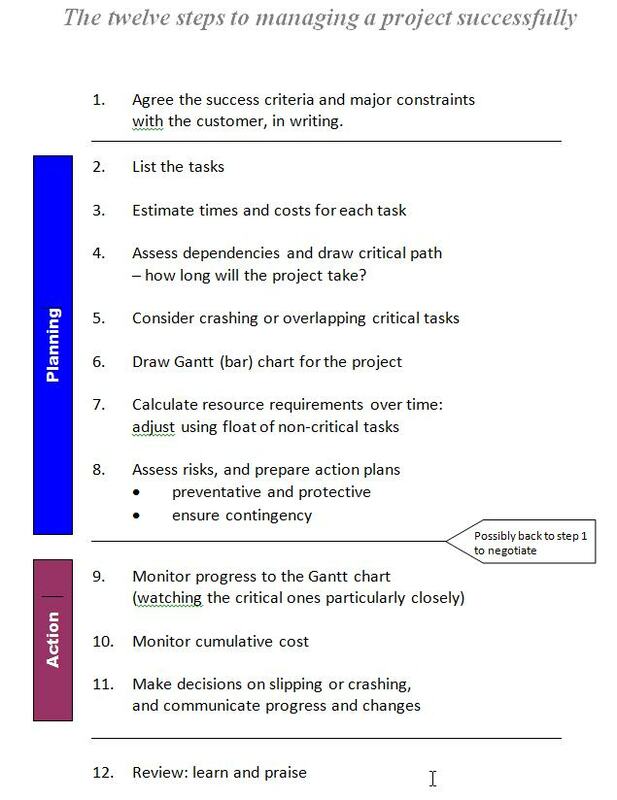 Get your projects in on time, and within budget, by proper planning and then tight control. Discover that planning is quick, easy, and worth doing. 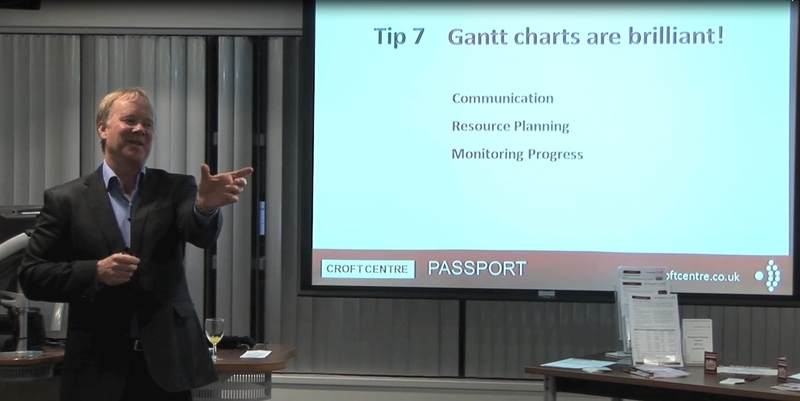 Become confident in using PERT charts, Gantt charts, cost monitoring, etc.This programme covers all the main techniques in a clear and structured way. The objective of the course is to show that almost everything you do in the workplace is a project, and that projects are worth managing properly. The best-practice techniques that we cover (PERT charts, risk analysis etc) are all related to practical examples so that their value can be clearly seen. Remember that if you have some individuals who can’t make the date they could always do the on-line version of the course. it’s also a good refresher for people who came on the course a few years ago. And if you don’t have enough people (4-6 at least) to justify having your own course then you could send your people to Bournemouth to join one of my open days, which run occasionally. Please do email to enquire. Finding the key driver – is it price, quality or time? PRINCE2 – what is it, and what are the pros and cons? Every participant receives a free audio or book as well as comprehensive notes. The one day version covers all of the basics that you need to know in order to be able to plan and run a successful project, and to manage project managers. The two day version also includes deeper information on forecasting costs, planning resources for multiple projects at the same time, and we work on some real projects to generate real project plans on the day – it’s great to reinforce the learning immediately and to see that the techniques really do work, and also I can help and correct any misunderstandings or omissions that have happened during day 1. Some example handouts taken from the course. 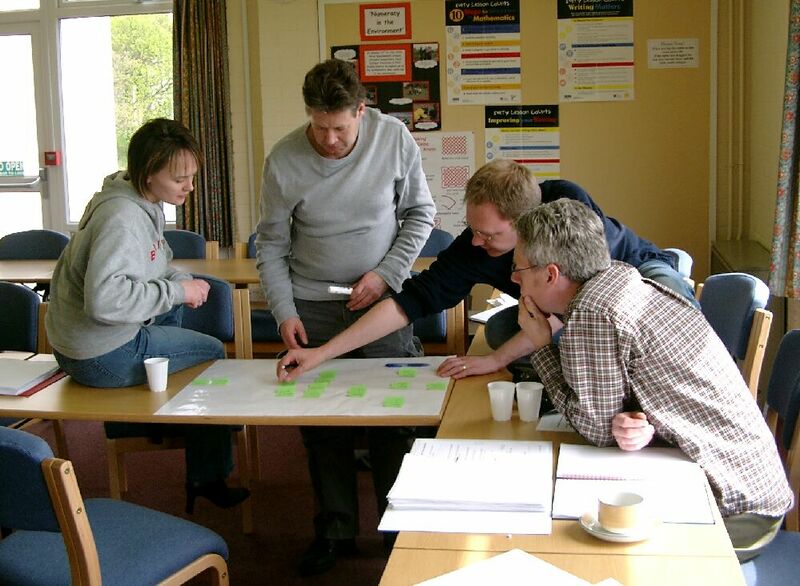 You can get this course accredited with a CMI Level 5 Certificate in Management. You will need to write up a couple of assignments based on real projects that you have carried out, but it’s good to do a coupe of projects in a really textbook fashion and to see how well the techniques work, and the writing up is mainly documenting your process as you go along. Enquire here for costs and other details.